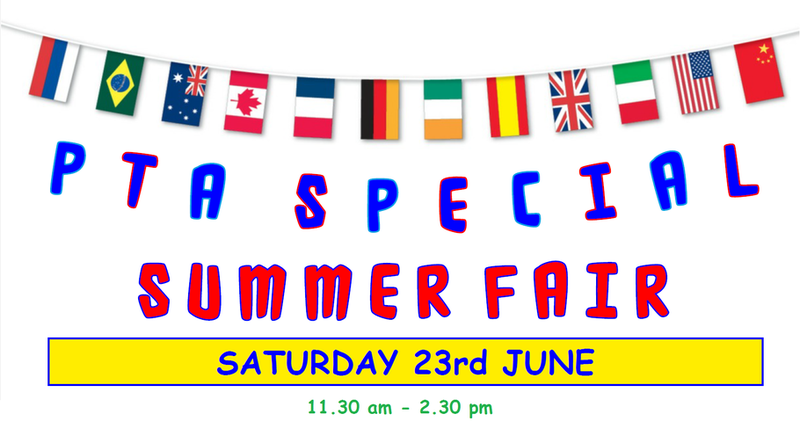 REMINDER - the Summer Fair is this Saturday, 23rd June - starting at 11.30am and finishing at 2.30pm, this fantastic PTA event promises to deliver a truly "Round the World" feeling. Proceeds from this will be shared to the school funds of both Boyne Hill Infants and All Saints Juniors. Please be there to support us!